Kim Jong-un to Hip-Hop Fans: You Betta Lecognize! PYONGYANG—Recently assumed Supreme Leader of North Korea Kim Jong-un has already begun to apply next-generation sensibilities to strengthening the socialist regime that his father Kim Jong-il built for decades. Kim Jong-un’s rumored taste for urban culture has been confirmed by the announcement of his upcoming hip-hop album, performing under the name Lil’ Jong and Da Northside Boyz. The suspicion among world leaders is that Kim Jong-un’s foray into music doubles as a way to fund North Korea’s ongoing nuclear weapons program, but music fans are more intrigued with whether the Supreme Leader is on the level. 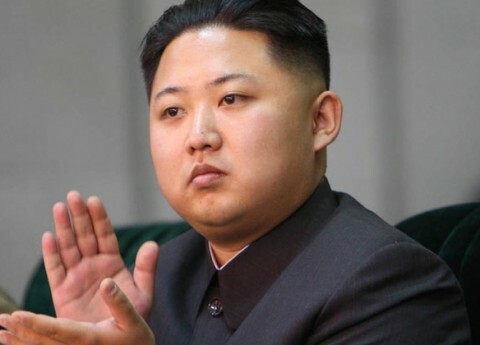 Producers have wisely advised Kim Jong-Un to leave his cover of "Make It Clap" off the album. The release date for Iller Than Il is still unknown, but iTunes will face a moral dilemma when the time comes. With a record that stands to sell billions of copies worldwide, Apple must decide whether they want to profit from capitalist culture used to destroy capitalism. WWSJD indeed.